It was the late Whitney Houston that famously sang “I believe the children are our future, teach them well and let them lead the way“. Say what you will about her demise, the Bodyguard star had a good point there, and one very relevant to the Raspberry Pi scene. Teaching younger people basic computing will help to set them up for life and create a new generation of much needed ‘techys’. 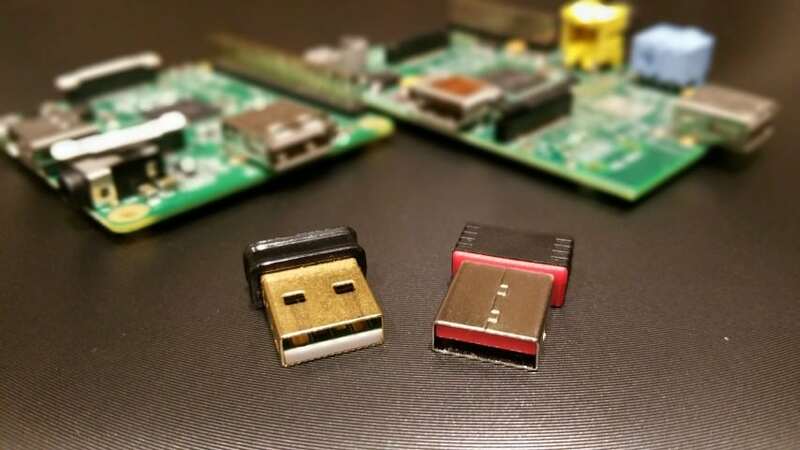 The problem is, a lot of the products released for the Pi are aimed at more advanced projects, kind of skipping those first steps that many of us go through when entering the world of electronics and programming. To give the little guys a fighting chance, Paul Brown has released a new simple beginners board aimed at people just starting out. It’s called the MyPiFi LED Board and is currently available on Kickstarter. 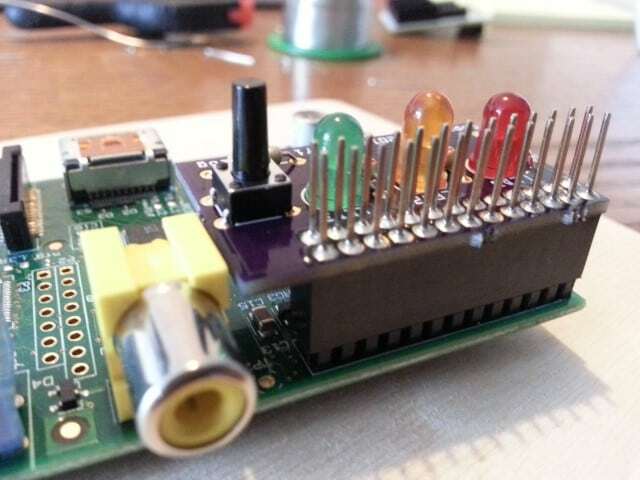 After visiting his local Raspberry Jam, Paul states on the Kickstarter page that he found “There are too many people that know little or nothing about soldering or programming“. This is very true, and I was one of these people a couple of years ago before I purchased my first Raspberry Pi. You can see how easily this can happen in 2014, and it’s one of the reasons the RPi Foundation was created. We’re in a generation of ‘install and go’ – where software is pre-made and ready to run, and the vast range of applications means you’ll always find what you need. There is no need or desire to make your own programmes anymore. Add to this the fact that kids would rather play Xbox or PS3 than learn something new, and you can see a real gap in skills developing in 20 years time – if not already. Organisations like the Raspberry Pi Foundation are already working hard to get kids back to basics – they even sold their 3 millionth Pi last week. However like anything, unexpected side effects can have a distracting effect. 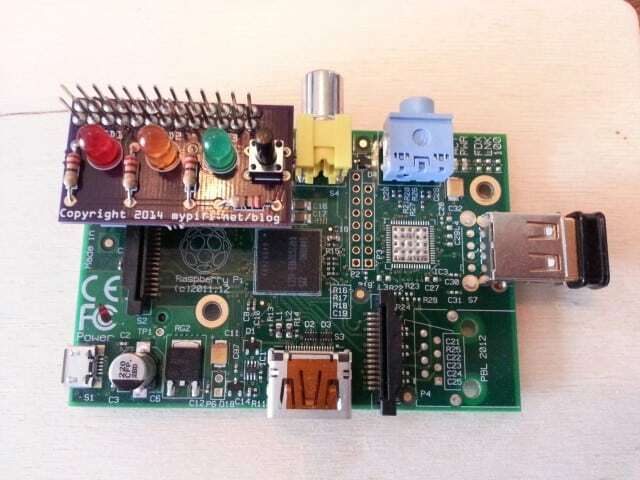 The Raspberry Pi has become very popular with advanced hackers and makers in the later age ranges, which has been great for publicity and visibility, but has also led to a lot of advanced products being produced for the board, rather than focussing on the simpler beginners market. 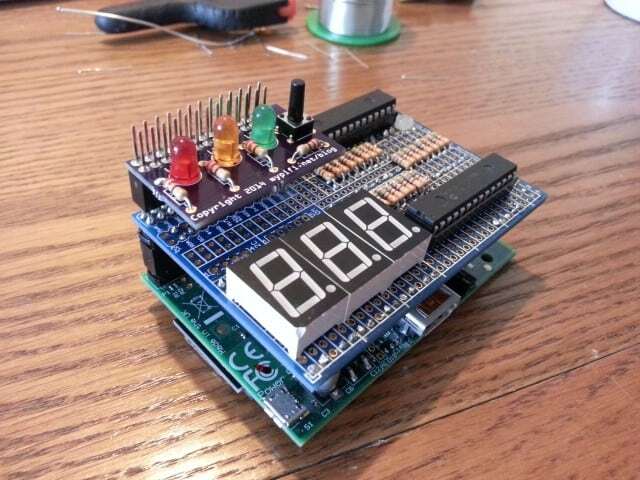 Paul is one of many people looking to reset the balance with simple, easy to use add-on boards designed to help beginners gain their first confidence points with soldering and code. 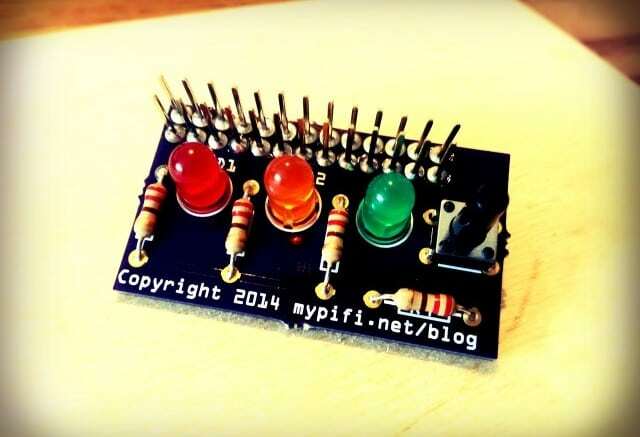 So – here is Paul’s answer to our problem – The MyPiFi Board. 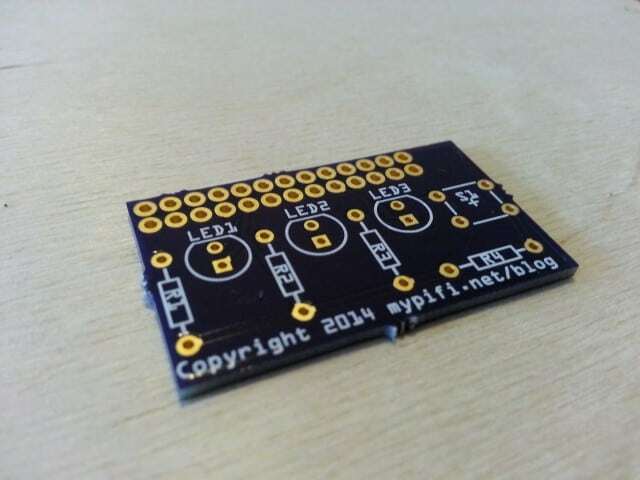 The board is straightforward and easy to understand from the first time you see it – a header to connect to the Pi, 3 LEDs with a resistor each, and a push button switch with a resistor too. The board shows you exactly where to place the parts, and if in doubt Paul already has an assembly guide on his site as well. I would have liked to have seen a ‘+’ symbol printed next to the power LED pads, although you could argue that the small amount of investigation here is all part of the learning experience. The solder pads are a good size compared to some boards, giving new starters a better chance of getting it right. The board size is quite small which is relevant to the small number of components that need to be fitted, but things are spaced out enough to make it easy for beginners. The board is targeting those ‘first time’ programmers, as I’m sure we all started with a simple LED project, if not at school then most certainly at home. I think LEDs are a great way for beginners to see their code making something happen in the real world, and this does exactly that. The LEDs are 3 different colours, mimicking the traffic light setup which I’m pretty sure was intentional. This will be great for those very young beginners, potentially making a traffic light code for toy cars – perhaps for a younger brother or sister. Whilst most reading this will understand the need for resistors, I like the fact that these are also separate and require soldering. Not only does it provide more soldering practice for our budding engineers, I imagine a lot of children assembling this board with their parents will ask “What’s this thingy for”, opening the floor for a quick lesson on the world of electrical resistance. You may think my view is that experienced ‘makers’ are destroying the future of this country. That’s really not what I’m saying here – and in fact – I’m sure the surge in adult geek interest has managed to get a Pi in front of more children than if none of us older lot had picked one up. With that in mind, there is another way to look at this board. 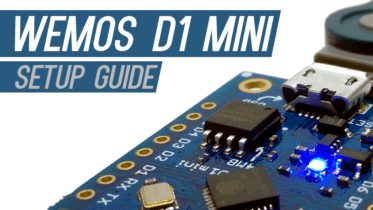 The size and shape make it perfect for adding to existing projects via the GPIO header, and the traffic light LEDs have more potential than most X-Factor contestants. I’m thinking these could be used as status lights for things such as temperature, sound, proximity, battery level and a lot more. Hopefully this means that both parents and their children can get something out of this, and for £6 that’s pretty good value. Pauls done a great job in making something simple and easy in a market full of advanced and expensive add-ons for the Raspberry Pi. Assembly is easy, coding can be as basic or advanced as you want to take it, and you can store it all in a matchbox. I’d really recommend this for teachers or parents who need a first project to work on. Want one? Grab a MyPiFi LED Board from Kickstarter. Be the first to comment on "The MyPiFi LED Board on Kickstarter"